Teresa Leigh (Uffelman) Buck passed from this life into eternal Glory with Christ on Wednesday, April 10 at 12:10 p.m. after a lengthy stay in the hospital due to influenza complicated by collateral physical ailments. Teresa or 'Terry' as her friends and family knew her, was born in St. Louis, Mo on June 8th, 1959 to Donald and Muriel Uffelman. Her birth completed their family of six. Terry attended grade school where her father was principal at St. John's South Euclid in Cleveland, Ohio and High School at Lutheran East in Cleveland Heights. After her Sophomore year, she traveled with her family to North Miami as her father become principal at Holy Cross Lutheran in North Miami. In Miami, she attended North Miami Senior High School through graduation. North Miami High brought her tremendous friendship and a love for drama. 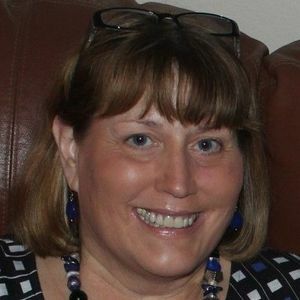 After high school, Terry briefly attended Miami Dade Junior College, but by second semester Freshman year (1978), she traveled to Nebraska where she attended Concordia Teachers College (known today as Concordia University at Seward, Nebraska). At CTC Terry made many, many lifelong friends from all over the United States. She was active in the Acapella choir with whom she traveled both the United States and Europe. Terry was also active in the drama department. Upon completion of her graduate studies, she graduated with a Bachelor of Science in Elementary Education and Special Education degrees. In 1982, She accepted her first call as a Lutheran Educator to St. Mark Lutheran School in Cleveland, Ohio. St. Mark Lutheran School and church became her special home especially as she began a friendship with the pastor's son, George Buck. Within two years Terry and George were married on Saturday, July 5th, 1986 at St. Mark Lutheran Church. The happy couple traveled a lot to Florida to spend time with Terry's family and to Nebraska to visit many friends. Where ever they traveled; Cleveland was home base. In 1991 Terry began teaching in the Cleveland Public School system teaching at several elementary schools, always focused on early elementary. Terry was teacher of the year at A. J. Rickoff Elementary around 1996, which was a significant award named after the founder of the Cleveland Public School System. Following teaching, Terry worked in various jobs, but most notably as a Suite Attendant for her beloved Cleveland Browns. By this time, Terry spent time in Orlando with her mother and brother helping as needed. When her beloved sister Sheila, from Florida, battled cancer, Terry joined in the fight for her sister's life. After the loss of both her mother and sister by 2010, Terry began to battle some of her own health issues. Terry and George joined Park Heights Baptist Church on January 3rd of 2014 through the rite of believer's baptism. For both Terry and George this was a significant sign to the ongoing work of the mercy and grace of Christ at work in their lives. Their marriage included three; Terry, George, and Jesus Christ. Prayer and Bible reading was foundational to their lives as they traveled their journey together. Terry will always be remembered for her laughter, her kindness, and her infectious personality. She sang, she loved, and she could bring laughter to any situation. She will be missed by her husband George, her sister Susan (Dan) Robertson, and brother Michael Uffelman; as well as her niece Julia (Michael) McDonald and Michael (Lauren) Granacki. Also mourning Terry's passing with the hope of resurrection is pastor George (Dorothy) Buck, brothers-in-law Jon (Patricia) Buck and Mark Buck; sisters-in-law Katherine (Charlie) Dixon and Beth (Jeff) Range; as well as nieces Danielle Buck, Janette Buck, Emily (Ryan) Colpitts and nephews Jacob (Hannah) Range, and Christian Dixon; and two great nephews and a great niece. Her extravagant heart of love reached to her extended family and her many life-long friends from many states. She was preceded in death by her father Donald Uffelman, mother Muriel (Schimdt) Uffelman, and sister Sheila (Uffelman) Childress. Memorial and celebration of her life will be held this summer, details pending. Memorials can be given in Terry's name toward scholarships to Lutheran East High School in Cleveland Heights, Ohio or to Concordia University in Seward, Nebraska. Add your thoughts, prayers or a condolence to Teresa's guestbook.